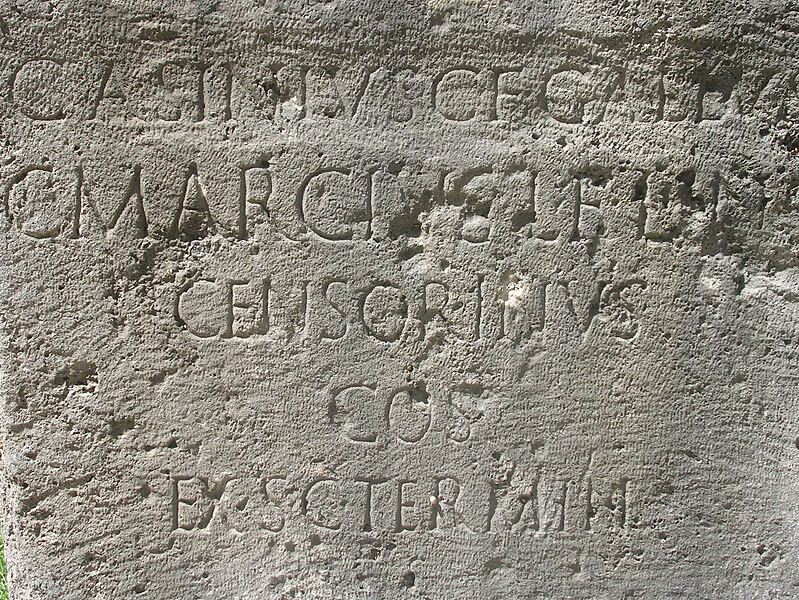 Boundary mark of consuls C. Asinius Gallus and C. Marcius Censorinus. Gaius Asinius, son of Gaius, Gallus, Gaius Marcius, son of Lucius, grandson of Lucius, Censorinus, consuls, according to the decree of senate, demarcated. (сс) 2007. Photo, translation: Olga Lyubimova (CC BY-SA 4.0).